Diversity is an integral aspect of core functioning of any organization; it’s not about “getting rid of a problem.” Diversity is embedded in issues of fairness, morale, justice, procedures, ability to adapt to changing conditions, ability to attract and meet the needs of diverse customers—all things that are central to the functioning of the organization. Organizations tend to share many of the same core challenges to creating an atmosphere of inclusion, issues they inherit from the larger society. However, each organization has different strategies in place that may mitigate—or exacerbate—these issues. Every organization is unique, and each is at a different level of awareness and preparedness to move to the next step of addressing issues of diversity and inclusion. One size never fits all. Because each organization is unique, there is no “silver bullet” for understanding, supporting, and enhancing diversity. It is thus essential to uncover the complete scope of what’s happening in a particular organization. That includes a comprehensive climate assessment. A climate assessment involves gathering information from employees who have different perspectives and insights about diversity experiences. It sheds light on what an organization is doing well – potentially better than other organizations, with respect to diversity and inclusion– and how it can do better. What’s involved in a climate assessment? A comprehensive, confidential survey that is tailored to the needs of your organization reveals important themes, information, and areas for deeper exploration. Usually requiring 15-20 minutes to complete, an online survey gives respondents the opportunity to share their perspective regarding important issues in a safe, private manner. Such data can also allow an organization to see how it compares to other organizations. 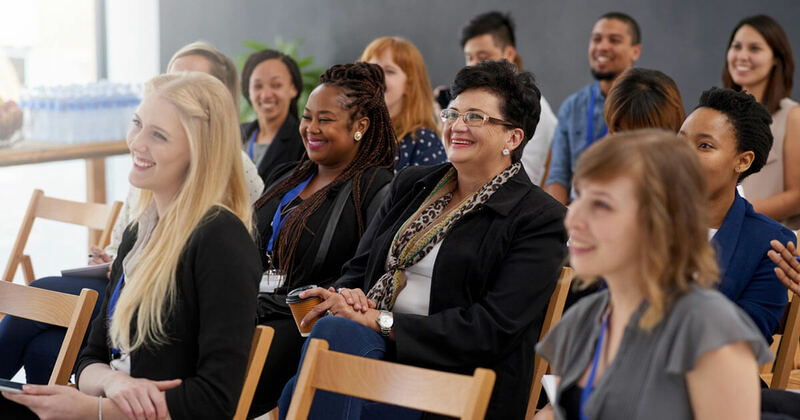 Speaking to individuals within an organization in an informal setting yields tremendous opportunity to fully understand the challenges at play and determine the type and scope of inclusion training needed to deliver a meaningful and lasting impact. In-person interviews also provide a chance to include employee narratives (all confidential) that bring the quantitative findings alive. Often, we learn a lot about an organization both from the topics on which many employees say the same thing and from issues in which people express divergent views. Understanding the organization from in-depth discussions with leaders and employees helps us see complex issues in a clearer focus. The goal of a climate assessment is not to simply arrive at a summary or superficial measurement that ranks employee satisfaction. Such an approach is an over-simplification of a complex tapestry, as people of different positions/ethnicities/genders/education levels, etc. will all naturally have different views. The goal of a climate assessment is to capture these unique views and generate an accurate picture of the myriad perspectives and motivations at play—and their impact on the organization. Though it is often a specific problematic incident or company-wide shortcoming that causes an organization to approach a partner about implementing inclusion training, a climate assessment helps reveal the whole picture: what can be improved, but also what is working well. Uncovering and discussing the strengths of the organization is a great vehicle for creating or reinforcing social cohesion. It provides an opportunity for shared pride, shared commitment, and satisfaction in organizational distinctiveness. It’s also a great foundation for trust. Focusing solely on problems is a mistake that can create difficulties in social cohesion, trust, commitment and coordination between different groups. Effective D&I strategies are not about applying a one-time bandage to a situation and then calling it a day. Lasting change comes from understanding the system in a holistic manner. It involves not only shoring up areas of shortcoming but also building on strengths to make companies more resilient, creative, and flexible. In short, once you find out what’s working well, the goal is to further replicate it and build on it. A climate assessment does not occur in a vacuum. Company staff are naturally curious, and leadership must be prepared to proactively provide information and address questions. Failure to do so can create more stress in the workplace. How leadership communicates is crucial for participation and honesty—two factors that are crucial in yielding meaningful results from the climate assessment. Our approach to addressing staff’s interest is to provide materials and resources that equip company leadership with tools to communicate effectively with teams. These usually include an online FAQ page (that is updated as relevant new questions emerge) and specific messaging strategies that demonstrate to employees that D&I issues are not simply a “special project” (i.e. one-off undertaking) but are a key aspect of achieving goals and missions, at both the company and individual employee levels. We sometimes think of the organizations with which we work as “the heroic client.” They are those who are willing to take a truthful look at the organization and are prepared to turn weakness upside down and invest in further developing their strength. They ask themselves: Do we truly have a positive climate for diversity and inclusion? If not, what do we need to do? The heroic organization is one that is ready to measure this important aspect of their future as a foundation for further strategic action. It all begins with a climate assessment. What is your organization’s bigger diversity & inclusion picture? We’ll help you find out. Contact us about conducting a climate assessment for your organization.